What is more fun than planning a Bat Mitzvah for one young lady? Planning for two! It was such a pleasure to be a part of sisters’ Lexi and Zoe’s Magical Enchanted Forest Theme Bat Mitzvah. We collobarated with Details, Details to bring this fairytale to life. Stunning photos of this enchanting event were captured by Ron Levy Photography. 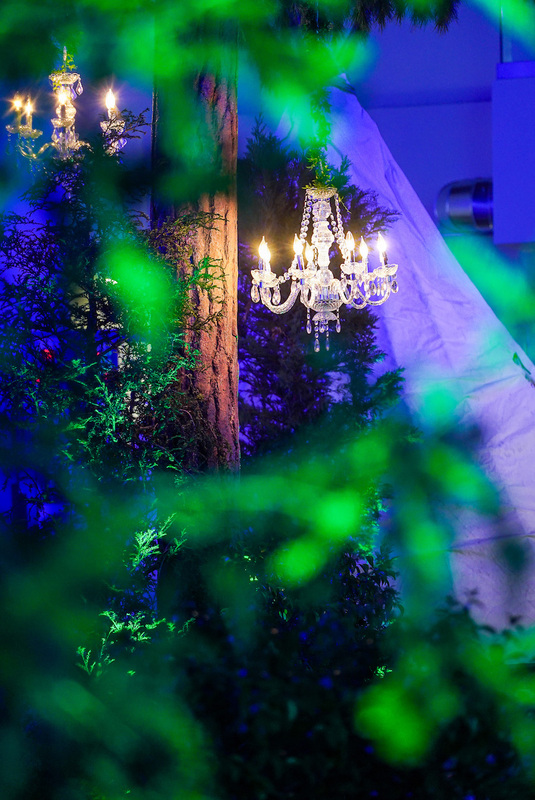 AV Irvine was the perfect venue for this magical evening and we are delighted that we were able to create a mystical wonderland for Lexi, Zoe and their guests. 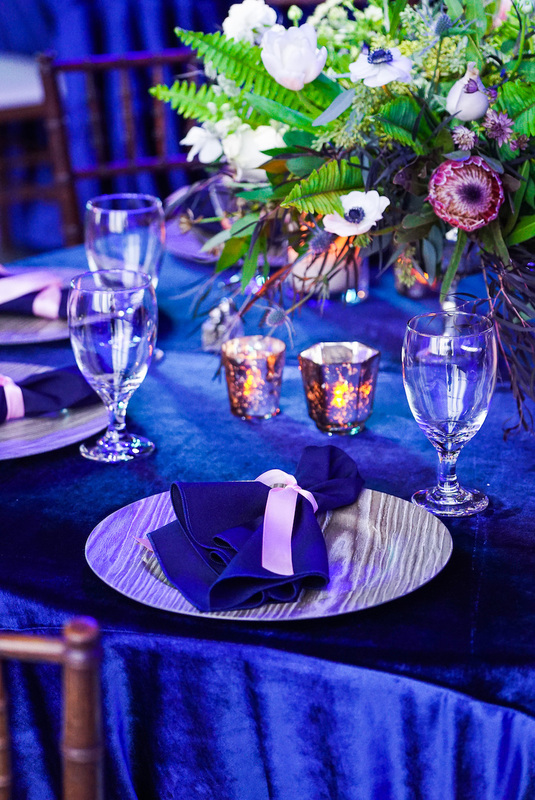 We filled the room with stunning lights warming the space with shades of bold blues, greens, and pinks. We created a forest effect with a tranquil color setting, illuminated trees, stars, and elegant hanging crystal chandeliers. We completed the forest with a giant teepee that was a focal point in the room. 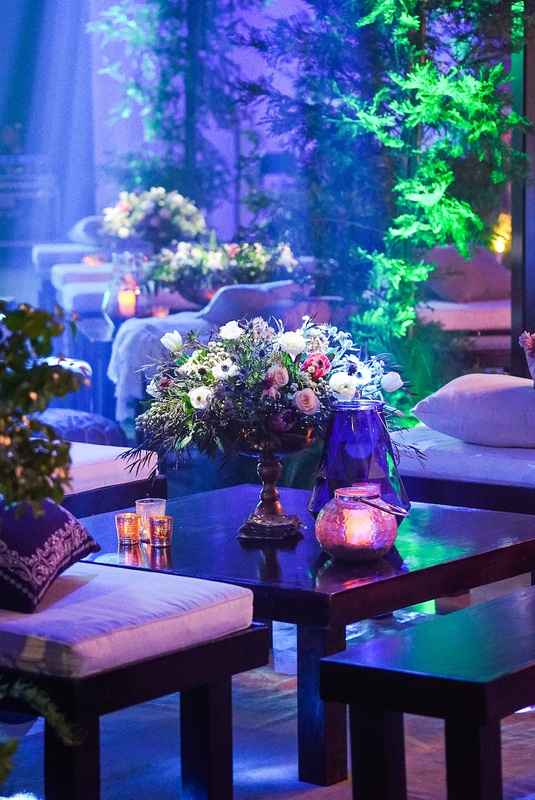 We decorated the tables with bold colored floral arrangements to compliment the enchanted forest look. 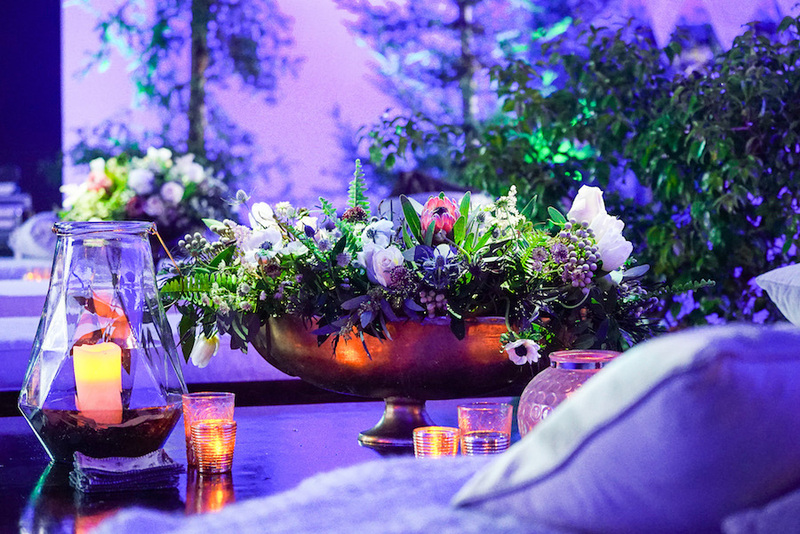 Shades of purples and pinks mixed with green ferns provided a forest fairytale vibe. Small candle votives were also placed throughout the room to provide some light, while maintaining the shadowy forest theme. 24 Carrots Catering provided the guests with a delicious meal to compliment the gorgeous evening. Lexi and Zoe’s friends and family danced the night away to the entertaining tunes of Feel The Vibe Entertainment. This was an incredible event to be a part of and we are thrilled to have been able to bring their vision to life!